June is national fruits and vegetables month. For vegans, fruits and veggies are our everyday sustenance. It is recommended by the USDA to consume 3 to 5 servings of vegetables per day, with one serving being equivalent to ½-1 cup of raw or cooked veggies. Fruits and veggies are important sources of essential vitamins and minerals including Vitamin A, Vitamin K and Vitamin B6, dietary minerals and carbohydrates. They are high in fiber and low in fat and calories. Eating these foods helps reduce the risk of certain diseases like heart disease, cancer, type 2 diabetes, kidney stones and obesity. They also contain a variety of other phytochemicals, some of which are antioxidant, antibacterial, antifungal, antiviral and anticarcinogenic properties. There are some vegetables that also contain fiber which is important for gastrointestinal function. 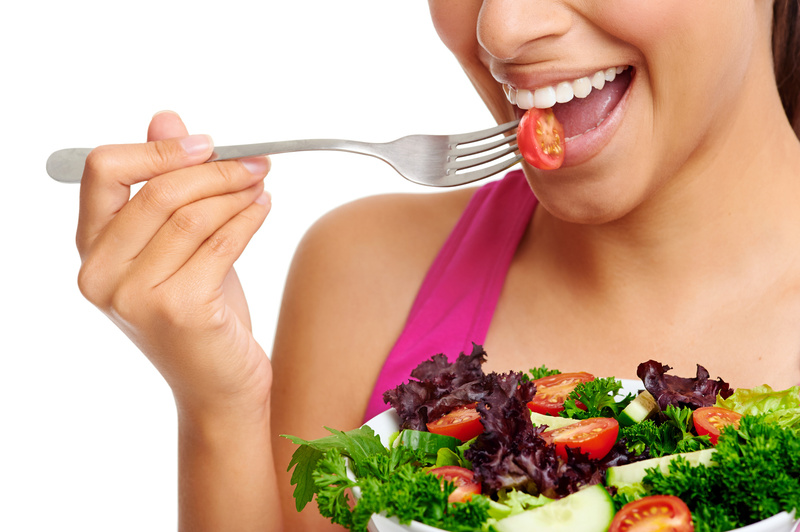 Another benefit is the important nutrients that vegetables contain that are necessary for healthy hair and skin. Evaluate the meals you serve on a regular basis and think of ways to add at least one more option for fruits and vegetables. Visit a farmer’s market and encourage each family member to pick a favorite fruit and vegetable. Grow a vegetable garden. This is a great option if you want a constant reminder to eat veggies year-round. If you can’t have a garden in the ground, settle for a small pot of herbs or lettuce. Purchase cookbooks that show easy ways to prepare fruits and vegetables. Pick one fruit or vegetable and figure out how many different ways that you can prepare it. Instead of serving ice cream or chocolate cake for dessert, make a smoothie. For vegans, take a loved one shopping with you. Have them pick 5 items and give them a few ideas how to prepare it. Choosing fresh produce that is in season will help insure the best tasting and highest quality produce. Examples of produce in season during summer include bell peppers, blueberries, cantaloupe, corn, cucumbers, grapes, peaches, strawberries, watermelon, and zucchini. Fall produce includes broccoli, cauliflower, cranberries, pears, pumpkin, sweet potatoes, and turnips. During winter look for dates, kiwi, Brussels sprouts, oranges, tangerines, kale, and squash. Produce in season during spring includes apricots, artichokes, asparagus, mango, pineapple, and snow peas. Proper food storage helps maintain food quality by retaining flavor, color, texture and nutrients, while reducing the chance of contracting food-borne illness. Store perishable fresh fruits and vegetables (such as strawberries, lettuce, carrots, and mushrooms) in a clean refrigerator at a temperature of 40 degrees Fahrenheit (F) or below. Refrigerate pre-cut or peeled produce to maintain quality and safety. Wash produce thoroughly with clean, cool, running water just before it is to be prepared or eaten. For produce with thick skin, use a vegetable brush to help wash away hard-to-remove microbes. Refrigerate all cut, peeled, or cooked fruits and vegetables within 2 hours (within 1 hour if temperatures are above 90 degrees F). Keep fruits and vegetables that will be eaten raw separate from other foods such as raw meat, poultry or seafood and from kitchen utensils used for those products. Wash your hands with hot soapy water before and after preparing food. Take avoid cross-contamination wash cutting boards, dishes, utensils and counter tops with soap and hot water between the preparation of raw meat, poultry and seafood products and the preparation of produce that will not be cooked. If you use plastic or other non-porous cutting boards, run them through the dishwasher after use. Posted on June 4, 2015, in Vegan Life and tagged food safety, fruit, fruit storage, national fruit and vegetable month, national holidays, vegetables. Bookmark the permalink. Leave a comment.